Please Note: There will be no Tuesday Report on December 25, 2007. Bartercard UK is one of the sponsors for a new centre for children with sensory and neurological conditions (difficulties that include autism, cerebral palsy and Down�s Syndrome). Bartercard members have already begun contributing trade dollars which has reduced the cash expenses for the Bibic Centre. � Americans spend an average of $390 billion a year in restaurants versus $364 at the grocery store. � There are 303 million people in the U.S. and only 10% of the households have more than 5 people, versus 21% that did in 1970. � The median, or mid-point, household income in 2005 was $48,200.00. We read so much about credit cards and the explosive growth of gift cards that we tend to overlook that travelers checks still hold a prominent role for the traveler. American Express alone sells $20 billion of these pre-paid travelers checks annually. Because of the float on uncashed traveler�s checks, Amex earns interest on that $20 billion to the tune of millions. Talk about earning money on an financial instrument! Toys, electronics, and now furniture. According to the U.S. Department of Commerce, national consumption of office furniture from China has increased 34.3% this year over last year. Bruce Karatz, head of KB Homes, says this is the worst he�s ever seen. And Lennar Corporation has sold 11,000 home sites in 32 communities (in eight states) for $525 million, less than the book value of $1.3 billion...thus eating the difference of $775 million. Warren Buffett, appearing December 11 on CNBC cable-TV, said he was concerned about consumer spending and doesn�t expect Christmas sales to equal last year�s. He still likes the stock market though, and feels positive about it moving into the new year. Warner Bros. Entertainment has quietly struck a multi-billion strategic alliance with Abu Dhabi Media Co. It�s a new entity formed by the emirate to create feature films and video games, as well as to build an entertainment infrastructure in the region. The economies of many big oil-exporting countries are growing so fast that the need for energy within their borders will add new strains to the global oil market. In some cases, the governments of these countries subsidize gasoline heavily for their citizens�selling it for as little as 7-cents a gallon, which fosters wasteful habits. Indonesia has already made the flip. Within five years the same is expected for Mexico...the #2 source of foreign oil for the United States. Iran, the world�s fourth largest exporter, will soon follow. International Monetary Systems (OTCBB:INLM), a worldwide leader in business-to-business barter services, today announced sales volume and revenue figures for November. The month produced the company's highest trade volume and revenue totals in its history, along with very strong new-client enrollments. � Gross revenue billed totaled $1.5 million, compared to $1.2 for November of last year, a 25% increase. Some of the increased volume can be attributed to the success of the company's holiday barter expos and trade shows. � New-client enrollments were especially strong with 317 new members joining the barter network in November of 2007. This represented an increase of 62% over the 195 new members signed up the previous November. The totals listed above are taken from the company's internal records and have not been audited. For a look at IMS�s most recent quarterly earnings click here. Further information can be obtained at the company's web site, www.internationalmonetary.com. There are currently over 630 posts and 70 comments contained within 19 categories on our blog. We trust you�ll find them worthwhile, and value your feedback. 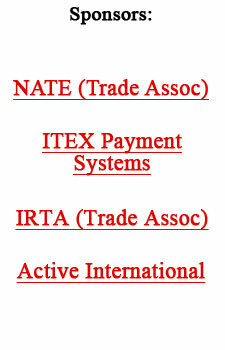 ITEX Corporation (OTCBB: ITEX), a leading marketplace for cashless business transactions in North America, has filed its Form 10-QSB with the Securities and Exchange Commission and announced results for its fiscal 2008 first quarter ended October 31, 2007. Revenue for the 2008 first quarter increased by 2% over the same quarter in the prior year, in which ITEX reported $357,000 of unique conversion revenue from former BXI members who had changed fee plans. Without the one-time conversion revenue in 2006, revenue would have reflected an increase of $420,000, or 12% over the comparable 2006 quarter. Organic growth from existing operations contributed $92,000 to this revenue increase. Included in the recent financial statements is $21,000 in ITEX dollar transactions that met non-monetary recognition criteria of Accounting Principle Board 29. In past periods, ITEX dollar transactions did not impact these statements because it was determined they did not meet non-monetary recognition criteria or were not material. Steven White, Chairman and CEO, stated, �Comparing year over year quarters and excluding the one-time conversion revenue in last year's first quarter, our income from operations increased 28%. Our fiscal 2008 first quarter results also included acquisition costs for our Intagio transaction. Overall, I'm quite pleased with the results for this quarter. �More good news to report is that our acquisition of Intagio members in August 2007 contributed $287,000 in revenue this quarter. Despite a few challenges during the transition, we are very satisfied with the early results of the acquisition. Of the six Intagio regions acquired, three regions were sold in the first quarter and we retained three to operate as corporate-owned or prototype offices. �Within our prototype offices, we are able to implement new commission structures, test new support fees and pursue other strategies to increase revenues and better serve members. We have focused on organic growth and are pleased to see traction in our revenue growth strategies. Further, new member registrations for the quarter were 823 compared to 669 in the comparable period for the previous year, representing a 23% increase. �Everything considered,� White reflected, �this was a strong quarter. If we adjust for acquisition costs and one-time conversions, our revenue and income from operations this quarter had impressive gains over last year's numbers. We exhibited some ITEX dollar revenue and expenses in our financial statements this quarter. Though the amount of these transactions is less than one percent of our total revenue for the quarter, we clearly identified and disclosed the amount of revenue and expense generated by these ITEX dollar transactions on our income statement. �Considerable time and effort was devoted this quarter to the integration of the Intagio members. The integration is now completed; our new corporate-owned offices and our broker network is geared up for our busy holiday season,� he concluded. � Intagio acquisition added $287,000 in revenue. � Income from operations totaled $272,000. � Net cash provided by operations was $767,000. � Total assets were $15,290,000. � 202,384 common shares were repurchased and canceled. � $1,000,000 credit line was renewed. � Qualified ITEX dollar transactions were reflected in our financial statements. ITEX Corporation's report on Form 10-QSB can be found at www.sec.gov. In our next Tuesday Report, January 1, we will publish comments from ITEX CEO Steve White revealing his outlook for 2008. Tamouh, the pioneering real estate developer, joined public and private sector entities from the international community at the recently held UAE-France Partnership Forum 2007 in Paris. The trade exhibition came about as a result of the need for a barter agreement between the two nations, as trade between the UAE and France has increased steadily over the past ten years. The event served as a platform for local business drivers to stimulate Emirati economic growth and encourage bilateral trade with France through the promotion of products and services from a variety of companies in the public and private sectors. The Partnership Forum is a key point for the UAE and France to come together for mutual cooperation and economic benefit through an open discussion on exchange between the two nations. In its position as the sixth largest economy in the world, France remains a key ally to the UAE. With the strong history of business partnerships between the two nations, the G8 member continues to contribute to the global trade presence of the UAE. Tamouh is the primary developer of Al Reem Island, with key projects such as Marina Square and City of Lights comprising 60% of the development. The Abu Dhabi-based company is also responsible for Fantasy Island, Meena Plaza, the Royal Group Headquarters, and two blocks of the multipurpose project Danet Gateway. I recently spent some time with Mike Ames, founder of TradeAmericanCard. He has been in barter business for 35 years and is adamant about the need to have the company�s telephone answered by a live person, just as they did when he opened his doors. �Our whole objective is to serve our clients, and the best way to so is by listening and interacting with them,� he affirmed. So it is not surprising to find, that according to a survey by NC-based Yankelovich, Americans are suffering customer-service meltdown. What consumers hate most of all is the way most businesses try to help: When using automated phone trees, for instance, 92% say they have tried to circumvent an automated phone tree to find a real person, futilely jabbing at the zero and pound sign. And 58%, when verbally prompted, will say agent or representative. That means the majority of people don�t like automated phone service. These behaviors are further evidence that consumers feel themselves in an increasingly adversarial role with marketers, and that they need to outwit the company in order to get the information they want. Overwhelmingly, what they want is a person with an excellent command of English. About eight in 10 consumers feel it is important to have the ability to talk to a live company representative�27% say they would even be willing to pay for the privilege. �And, quantifying consumer resistance to the trend of off-shoring corporate call centers to India and China, nearly three quarters (71%) say having customer-service representatives based in the U.S. is important, with 25% willing to pay more for this,� Yankelovich says. Yankelovich suggests that companies customize customer service, since the canned scripts so many companies use also turn consumers off. And what do people do when they perceive an incompetent customer service policy? Most go out and complain, telling friends and relatives what they think about the company. Editor�s note: TradeAmericanCard has assisted thousands of companies over the three decades in the industry, including Money Mailer in its early days. To read about it click here.